The whole time we were in Yellowstone, we had our hawk eyes on, looking for wildlife. We saw plenty of elk and bison, plenty of osprey and other birds of prey, but we only saw wolves and bears from really far away. That is probably a good thing, looking back on it. On our last day of the trip we headed back to West Yellowstone since it was rainy and we pretty much saw all the highlights of Yellowstone. 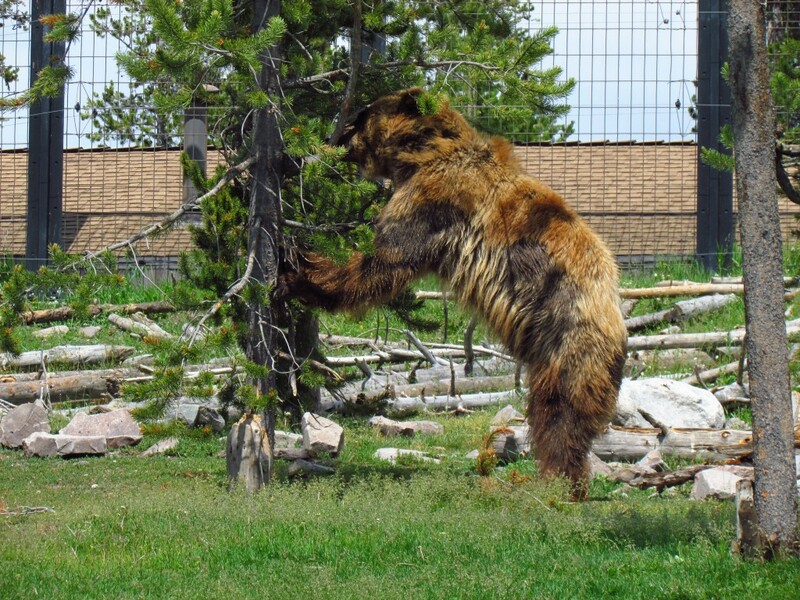 There is a Bear & Wolf Discovery Center in West Yellowstone, so we went there to see these animals up close. The discovery center was awesome. For $11.50, you got a pass for 2 days. At first we wondered why anyone would need a pass for two days, but once we went in it was clear. Watching bears and wolves up close is awesome. 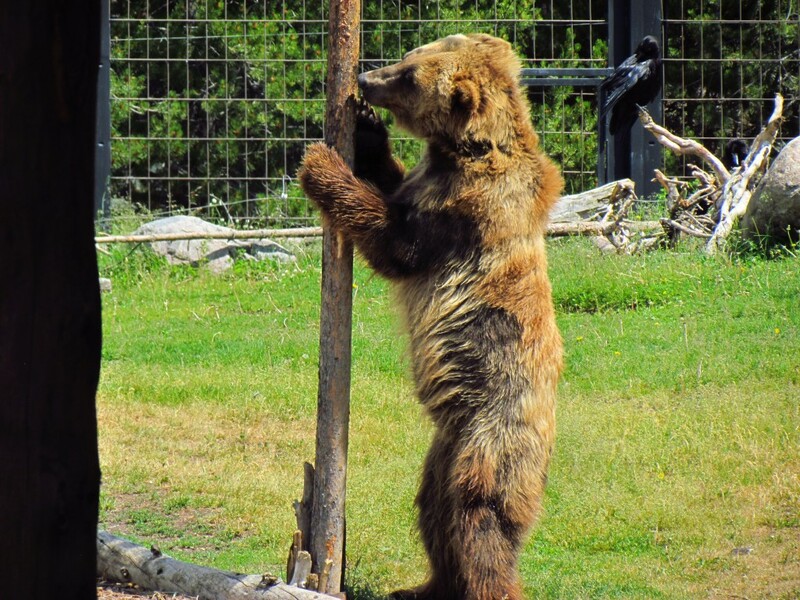 The workers bring different bears out for viewing during different hours, so if you have your favorites you can come back the next day during their scheduled hours. Once we saw the bears at the discovery center, we were SO GLAD that we didn’t come across any bears while we were hiking. Bears are FREAKIN’ HUGE. We saw bears effortlessly move rocks bigger than our heads using just their snouts. We saw a bear break down a TREE just because it felt like it. I’m glad we saw all this from behind a fence. We loved our visit to the discovery center, and really liked what they do at the center. 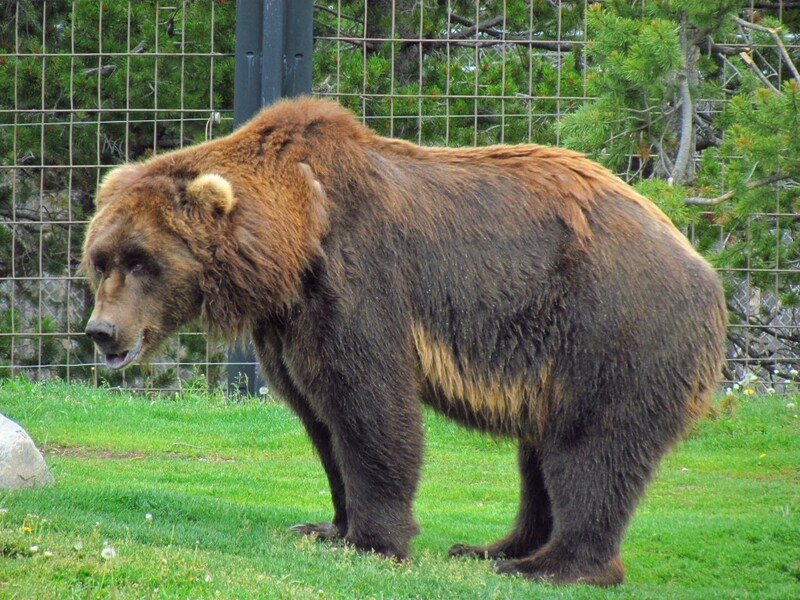 They rescue bears and wolves (and a few birds of prey) that would not make it in the wild for various reasons, for example if the mother bear died before it taught the cub how to hunt, or if a bird got hit by a car and couldn’t fly fast enough to hunt and survive on its own. While we were there, we saw a demonstration about Birds of Prey and watched a wolf feeding. 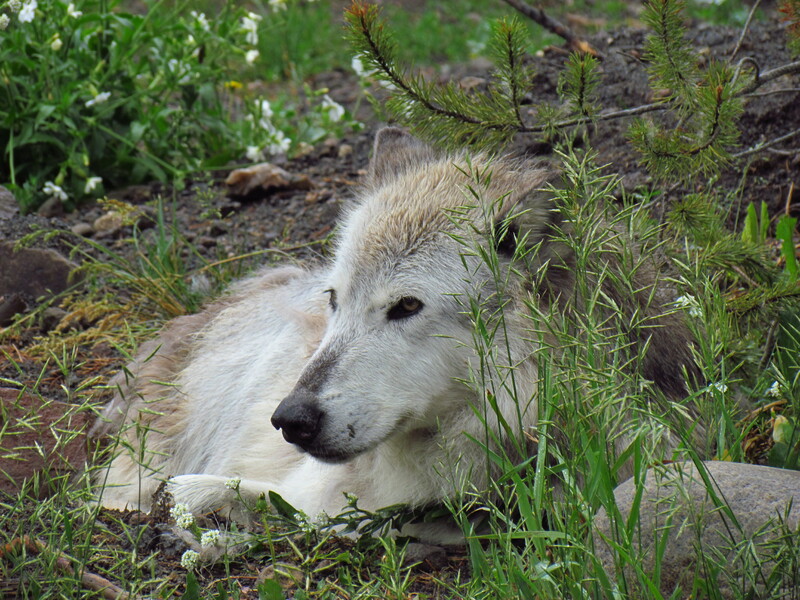 It was awesome watching the wolves – they act like dogs. Big big dogs. They even walk around in a circle twice before sitting down somewhere. So cute! 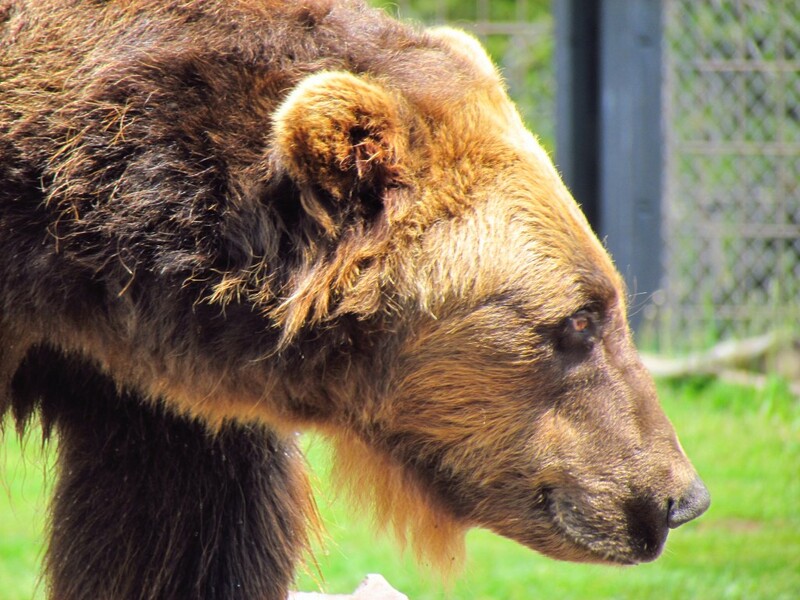 If you’re stopping in West Yellowstone, you should definitely visit the Bear and Wolf Discovery Center to see some awesome animals and to support this non-profit organization.